QuickBooks has become an internal accounting fixture for a very large number of businesses. It is a solid bit of accounting software that businesses rely on very heavily to manage their operations, taxes, and financial information. Today, many of the companies that have grown so reliant on QuickBooks have also developed, or are planning to develop, ecommerce platforms through which they conduct an increasingly large number of B2B or B2C business transactions. Still others are contemplating expanding to multiple online sales channels. Tracking all sales, customers, accounting, inventory and shipping in these circumstances can be daunting. While some can manage the separate online and local systems independently for a while, eventually it becomes necessary to merge the ecommerce transactions and related data into the QuickBooks system in a reliable, automated way so that accurate information is always at managers’ fingertips. Attaining the highest level of integration is important. Maximizing interface automation and efficiency has a direct impact on cost control. Your managers must have accurate information within QuickBooks to do their jobs properly and ensure that your enterprise is in control of its affairs. The key is eliminating manual transfer of data between the ecommerce engine and the internal QuickBooks application. A manual data-entry process takes time and resources; it increases the risk of error, and can quickly become a crippling bottleneck. Establishing a well-designed automated interface between the two systems can eliminate the bottleneck risk, and dramatically increase convenience and data control. But, the interface between the ecommerce platform and the internal software must be seamless and capable of truly automating the process, and reducing order processing time and errors. Easily configuring which data-management tasks to automate is essential. To do this successfully requires the right tools. When done properly, all new orders received online through the ecommerce solution should automatically download into the QuickBooks system, either in real time, or on a prescribed schedule. Shipping orders generated by the ecommerce system should also download into the QuickBooks’ Shipping Manager Module, and after orders ship the system should send the tracking number and shipping status update back to the ecommerce website for customer viewing. 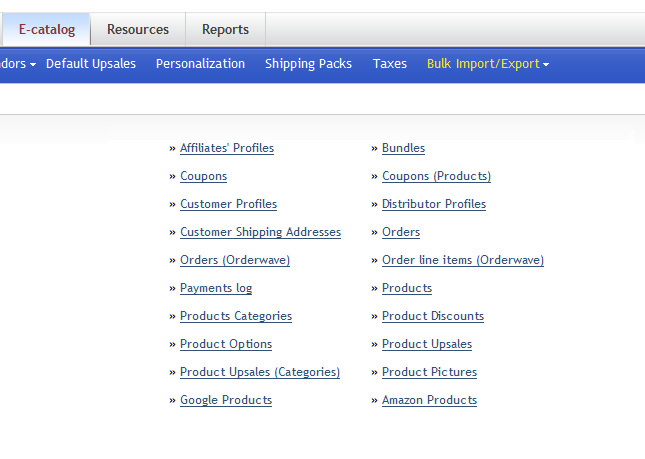 As orders come in, the interface should automatically update the QuickBooks inventory module. Likewise, when inventory changes occur first within QuickBooks, or product data changes, or price and quantity change those updates should automatically post from QuickBooks to the website ecommerce system. This inventory and product synchronization permits clarity and avoids confusion. Adrecom offers a highly reliable solution to automating the interface between your ecommerce platform(s) and your local QuickBooks application. Real-time order Download from website. Download and combine orders from multiple stores. Permits manual review and edit of order details. Create customers and items on the fly. Can export orders to QuickBooks as either Invoices, Sale Orders, or Sales Receipts depending on your QuickBooks setup preferences. Assign class in QuickBooks.Assign Template, Deposit account, Terms, Sales Rep, To-be-Emailed flag, etc. Record online sales in POS as Sales receipt or Sales Order. Record taxes in QuickBooks POS. Assign associate and sales rep for online orders. Sales from different online stores post to separate POS Stores. Export orders to shipping companies. Update Order status and tracking numbers online. Update tracking number in QuickBooks. Credit Card payment processing for orders (Authorize.Net or QuickBooks Merchant Service). Inventory updates from QuickBooks to online store. Create products from QuickBooks to website. Integrating with QuickBooks frees your organization from the time consuming, cumbersome task of manually importing files into QuickBooks every day. With Adrecom’s QuickBooks integration tools, your website will be automatically synced with QuickBooks in real time. It’s time to stop worrying about tracking sales data, and instead get your organization back to actually selling.